Education Law–LLB course–The maximum duration of time to complete the LL.B. Three Years Degree cannot be extended and in the absence of any provision for mercy/special chance. 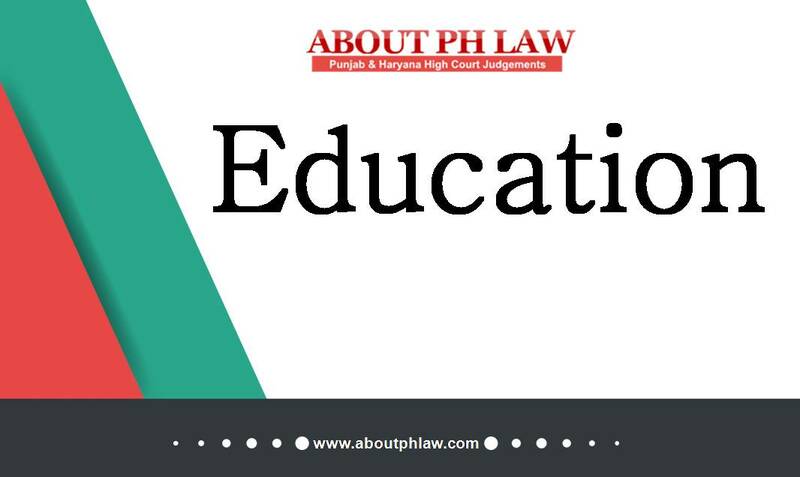 Comments Off on Education Law–LLB course–The maximum duration of time to complete the LL.B. Three Years Degree cannot be extended and in the absence of any provision for mercy/special chance. Held; students not to be penalized for fault of institute especially when they had completed their 1st Year; direction issued to grant affiliation for that particular session also. Comments Off on Held; students not to be penalized for fault of institute especially when they had completed their 1st Year; direction issued to grant affiliation for that particular session also. Education Law–Admission-NEET PG-2017–The Rural Medical Officers employed in the Zila Parishads are entitled to the benefit of the incentive for service in remote/difficult areas subject to the conditions of eligibility as in the case of in- service PCMS/PCMS (Dental) doctors. Comments Off on Education Law–Admission-NEET PG-2017–The Rural Medical Officers employed in the Zila Parishads are entitled to the benefit of the incentive for service in remote/difficult areas subject to the conditions of eligibility as in the case of in- service PCMS/PCMS (Dental) doctors. According to information brochure total seats are 40 and 5 seats for the nominees of State/Union Territories deficient in technical education facilities. Comments Off on According to information brochure total seats are 40 and 5 seats for the nominees of State/Union Territories deficient in technical education facilities.